I love taking photos either at sunrise or during sunset. That´s when I feel that the light falls just perfectly and the sun rays are so pretty. The light is also more soft than during the middle of the day. 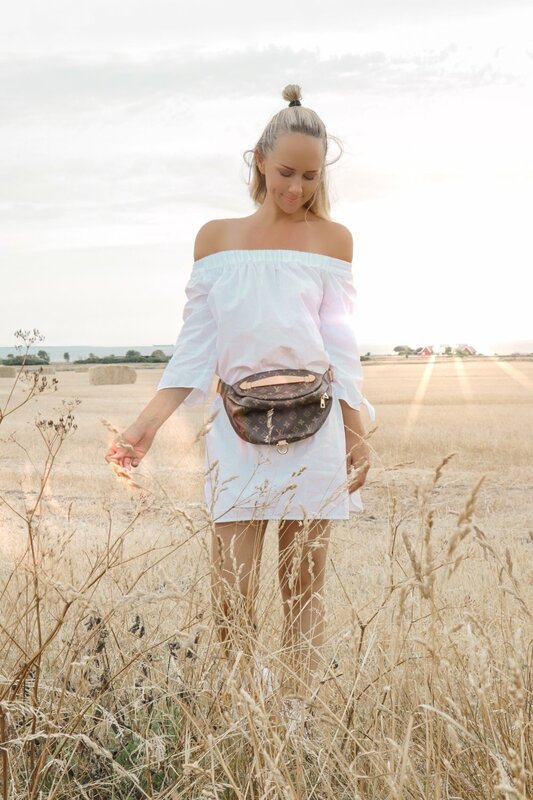 We stopped by this beautiful field on the country side the other day during our drive home and the light was just so beautiful and perfect for some pictures with my new baby: The Louis Vuitton Bum Bag. I´m simply in love with this bag, and I know so many of you have been asking me to post some pictures of it since you saw me getting it during spring time but honestly, it´s just been lying on a special place in my wardrobe and I´ve been admiring it every day without even wearing it. So this day was the day. This is a bag that I have come to use so much as my day to day accessory and everything I need fits perfectly inside. I also love that it gives that casual and sporty yet chic look. Other then that I am wrapping up my final days here in Sweden. 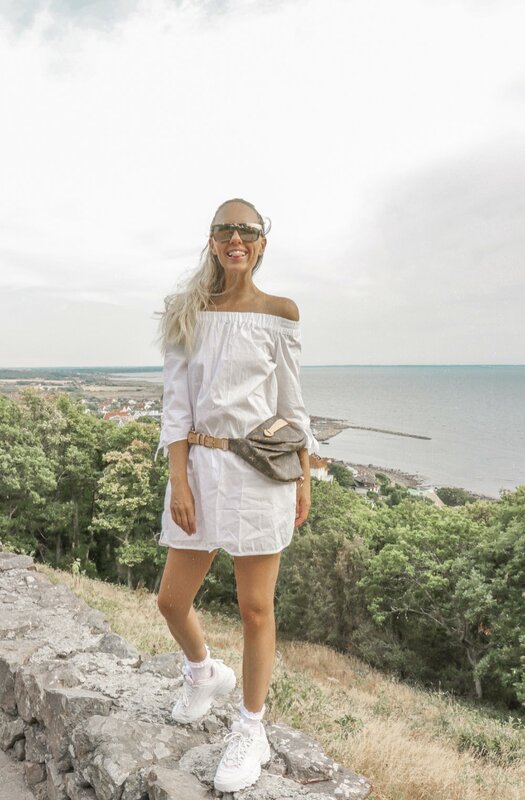 It´s been so nice to be home with my love and my family and to have some true Swedish summer this year. I am soon to travel again on some exciting projects so stay tuned.